FINLAND IS HEADED towards parliamentary elections that could be historic in that not a single party could emerge from them with an over 20 per cent-share of the vote, indicate new opinion polls by Alma Media and Helsingin Sanomat. Helsingin Sanomat unveiled the results of its latest poll this morning, revealing that fewer than 20 per cent of voters are planning on casting their vote for the poll-topping Social Democrats. The poll showed that popular support for the opposition party has dropped by 1.5 percentage points to 19.5 per cent. The Social Democrats has an advantage of 2.0 percentage points over the National Coalition, which saw its popularity drop by 0.6 percentage points to 17.5 per cent between March and April. The biggest gains in both of the polls were made by the Finns Party. Helsingin Sanomat on Tuesday reported that popular support for the right-wing opposition party has surged by 3.9 percentage points to 15.0 per cent, allowing the party to overtake both the Centre Party (14.4%) and the Green League (12%). Conducted over a five-day period in early April by Kantar TNS, the poll is believed to reflect well the current mood of voters in Finland. Sakari Nurmela, a research director at Kantar TNS, reminded Helsingin Sanomat that a number of variables, such as the ability of parties to convert their popularity into votes, could yet have an impact on the election results. He estimated that roughly a third of voters could still shift their support from one party to another despite the proximity of the elections. He also pointed out that people who abstained from voting in the previous municipal elections made up roughly a fifth of the respondents who voiced their support for the Finns Party. 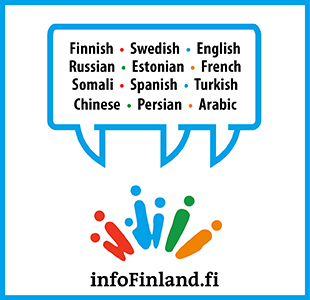 Today is the last day of advance voting ahead of the parliamentary elections held in Finland on Sunday, 14 April. Over a quarter (28.3%) of voters had cast their vote in advance by yesterday evening. The share stood at 24.8 per cent after the second to last day of advance voting ahead of the parliamentary elections in 2015, according to YLE.